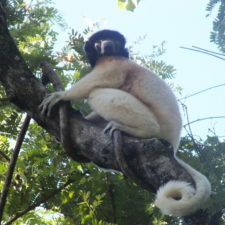 The Louisiana Lemur Foundation (LLF) is committed to lemur conservation, education, and scientific discovery by providing expert care to the lemurs it rescues, participating in non-invasive research endeavors, and educating the public about all things lemur including the importance of their conservation and of biodiversity in general. What’s the story of the Louisiana Lemur Foundation? 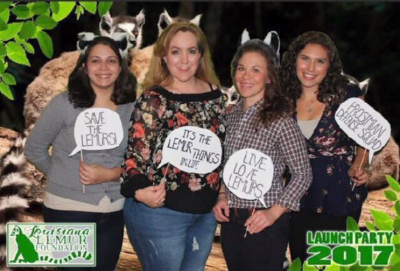 The Louisiana Lemur Foundation officially became a 501(c)(3) non-profit in October 2017, but the idea began in early 2016 with three primate zookeepers. 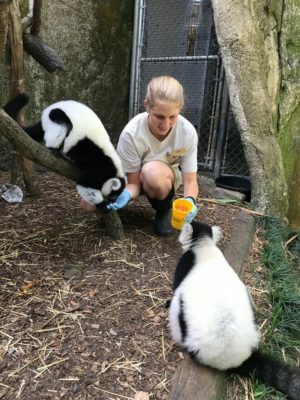 We expanded our partnership to include fellow zookeepers and conservationists: Melissa Passman, who has an extensive background working with nonhuman primates; Samantha Zarin who has a background in zookeeping and vet care and Jamie Marks, who has a strong foundation in research under her belt. 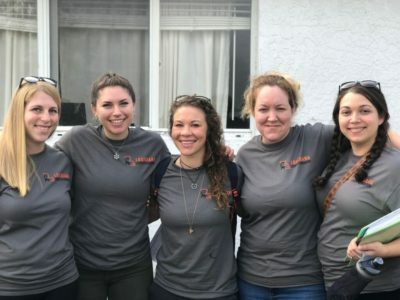 This group of local women has a strong passion for prosimians and wanted to put that passion to good use: to create something that will affect more people and lemurs than the ones they interacted with in our day-to-day lives. 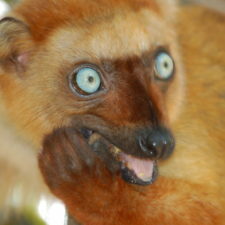 Which lemur species does Louisiana Lemur Foundation work with? LLF is committed to the conservation of all prosimian species, but we are currently focusing on those most found in the illegal pet trade (Ring-tailed lemurs, Black and White Ruffed lemurs, Red Ruffed lemurs, etc.). The Louisiana Lemur Center will be a multi-acre, forested research park in southeast Louisiana that provides a sanctuary style of living to its lemurs while also contributing to our scientific knowledge about these unique primates. Another goal of LLF’s center is to be a place of education to the public about all things lemur, including the importance of conservation and biodiversity in general. The center will be open for guided tours and other events to reach this goal. LLF intends to use a portion of funds collected from these tours and events to contribute to lemur conservation efforts in Madagascar. 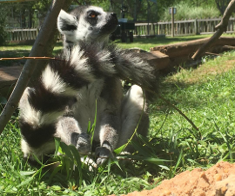 LLF is currently looking for local organizations to partner with, but we already have an established relationship with Duke Lemur Center and Lemur Love, and are happy to support these organizations in any areas where they work in Madagascar. 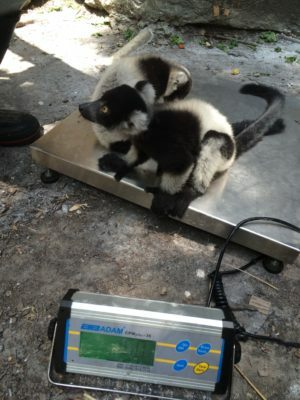 How does LLF work for lemur conservation? 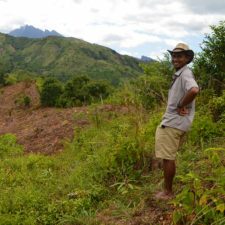 The overall goal of the Louisiana Lemur Foundation is to contribute to and participate in lemur conservation efforts both in Madagascar and in the United States. 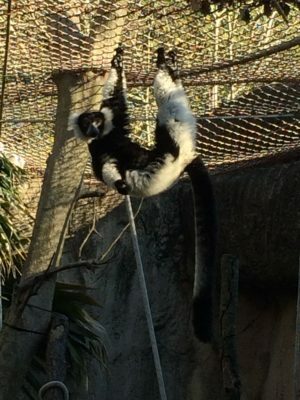 The main way LLF plans to do this is by rescuing, rehabilitating, and housing lemurs that have been subjected to the illegal pet-trade in the U.S. LLF recognizes that there is a desperate need for sanctuary and rehabilitation space for pet-trade lemurs and would like to help fill that need. We are currently working to establish the Louisiana Lemur Center with the goal of housing rescued pet trade lemurs and giving them the most natural and fulfilling lives possible by utilizing rehabilitation, training, and non-invasive research programs developed with the highest standards in animal care and management. 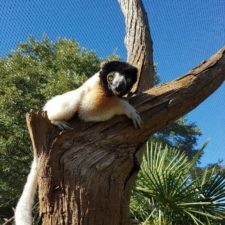 The Louisiana Lemur Center will be a multi-acre, forested research park in southeast Louisiana that provides a sanctuary style of living to its lemurs while also contributing to our scientific knowledge about these unique primates. Another goal of LLF’s center is to be a place of education to the public about all things lemur, including the importance of conservation and biodiversity in general. The center will be open for guided tours and other events to reach this goal. LLF is committed to the conservation and protection of all lemurs, especially those individuals that have been subjected to the illegal pet trade. LLF plans to rescue, rehabilitate, and care for former pet trade lemurs in the United States, and work with similar organizations in Madagascar to reduce the number of lemurs threatened in this way. LLF currently accepts donations through the PayPal button on their website. This button can be found under the “Get Involved” tab on the homepage. LLF is also an eligible charity on Amazon Smile. 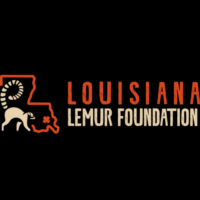 They are listed under Louisiana Lemur Foundation, Ltd.
All funds collected will directly support our goal of establishing the Louisiana Lemur Center. 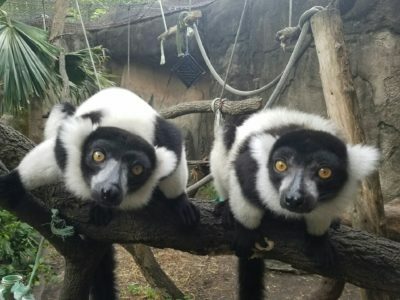 Once established, further donations will directly support the care of the lemurs the center houses as well as the foundation’s ability to rescue additional lemurs from the pet trade and contribute to on the ground conservation projects in Madagascar.